Izzy. fun to do. HD Wallpaper and background images in the Total Drama Island club tagged: total drama island. This Total Drama Island photo contains anime, comic book, manga, and cartoon. 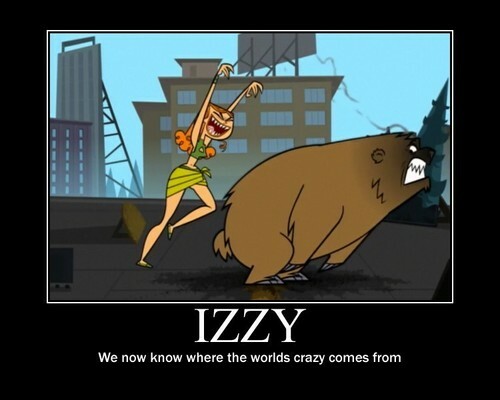 run bear izzy's gonna eat you!!!! !